BOGNOR’S final away game of the Ryman premier season ended in a 4-1 defeat at Wingate and Finchley. Ollie Pearce gave them the lead just after the half-hour mark and they held it until the 68th minute - but then they collapsed. Goals by Tommy Tejan-Sie, David Knight (2) and Bradley Hewitt - all within the space of 13 minutes left them well-beaten. One bright note was a first start for a long time for full-back Daryl Wollers. The loss means Bognor can finish no higher than 13th. In the Sussex League, two goals by Jimmy Wild and one from Michael Frangou earned Chichester a 3-2 home win over St Francis Rangers. Selsey did well to draw 3-3 at home to Eastbourne Utd Assoc thanks to goals by Lindon Miller, David Rough, Mark Thompson - the last two strikes coming in the final five minutes to bring Steve Bailey’s team back from the brink of defeat. It was an afternoon to forget for Pagham as they went down 4-0 at Eastbourne Town. 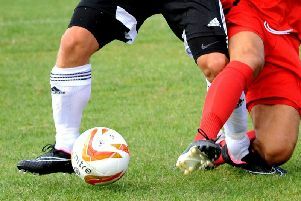 In division two, Midhurst - playing their first game in nearly a month - lost 7-1 at home to promoted Worthing Utd. Lewis Hamilton was their scorer. In rugby, Chichester put up a brave effort but went down 28-19 at London Irish, meaning they finished seventh out of 14 in their first season in London three south in the National League. Get all the reports and pictures on these fixtures and the rest of the sport in the Observer - out on Thursday.